Fox may have canceled reality dating show I Wanna Marry Harry , but the remaining episodes went up on Hulu Friday. In case you didn't feel like sitting through the last four episodes, I'll catch you up on how it all turned out. First off, I know you want to know who won the I Wanna Marry Harry star's heart. Spoiler alert: Matt Hicks chose sweetheart Kimberly Birch. But first let's take a look at how things lead up to that. Three of the episodes operated similarly to how they'd already been structured. Each week one girl was elevated to the crown suite and another went home. Along the way there were more fights between the girls and more romantic dates. The major points you missed was Kelley Andrews accidentally/intentionally throwing a lot of other girls under the bus because she was so desperate to end up with the fake Prince Harry. 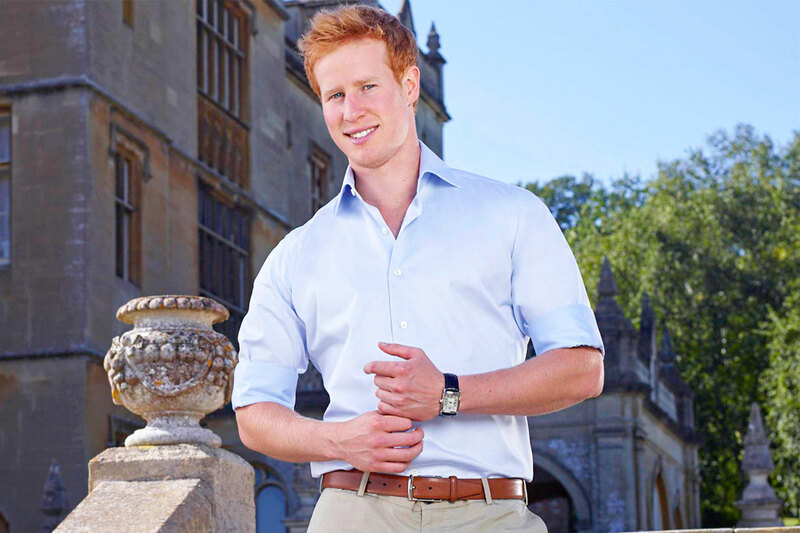 The man behind the prince, Matt Hicks also made a crucial mistake late in the game when he gave the wrong age for his supposed older brother Prince William. This lead original frontrunner Rose Copeland to discover he wasn't who he said he was. When Hicks was sending her home he confessed to her that yes, he wasn't Prince Harry. She didn't take it particularly well, but also she had just been sent home so I don't blame her. But let's be real, you don't care about all of that. Not a lot of people did or it probably wouldn't have been canceled. You just want to know how it all ended up, right? Who won and how did they react when Hicks revealed the truth? Well in the end it came down to Karina and Kimberly (I knew Karina would go far) but Hicks chose New York native and actress Kimberly to be his girlfriend after the show. This wasn't a Bachelor situation where the winning lady gets a ring, but Hicks and Kimberly did get a quarter of a million dollars. Hicks revealed his true colors to Kim — "My name is Matthew and I'm an environmental consultant" were his exact words — and explained that he was not from wealth or status. "Does it change anything for you?" Hicks asked in a small voice. But sweetheart Kimberly shook her head and replied, "Not at all." I'm not going to lie, I actually found myself tearing up a bit. That might just be because I watched four straight hours of this show, but also it's sweet that Hicks' goal ended up coming true. He really wanted to find love out of this endeavor and he just might have. As a reward for Kimberly not abandoning Hicks when he came clean, Kingsley (gotta love that fake butler) gave the new couple $250,000 to split. It's not unlike in Willy Wonka and the Chocolate Factory where Charlie gets to keep the factory because he told the truth about the stolen Gobstoppers. It's all about rewarding the honest ones, right? I should note, too, that the money was even a surprise to Matt Hicks, so that's kind of fun. Tricking the trickster. Also unlike The Bachelor, we didn't get an After the Final Rose-type show to tell us whether or not the couple is still together — the series was filmed last summer — but from Kimberly's parting words things are looking up. As the new pair rode off the estate on a tandem bicycle and Kingsley locked the gate behind them, Kimberly shared the true blessing of the whole experience: "It's one of the hardest things to find a real connection with someone. So if I won anything, I won that." See what I mean? This silly show with a ridiculous premise actually ended up being pretty heart-warming. Who would have thought?